I loving shopping online and discovering new online shops, I came across dresslily .com and I have decided to do a wish list so you can have an idea on what to fine on the website. summer time is not yet over, so I guess a summer wish list it is. If you have not shopped from there, they also have a pulse size range. 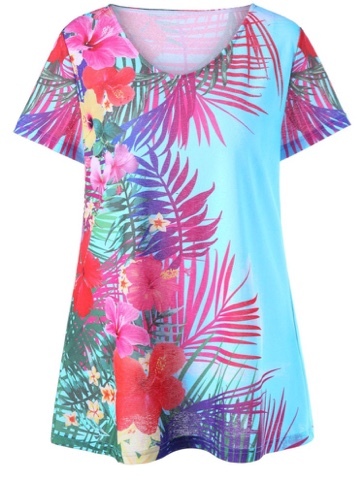 for summer fashion ideas check out their hawaiian shirt for both men and women, Hawaiian print is in trend this year and I have been seeing fashionistas on Instagram and Pinterest style them beautifully, so why not get your self a Hawaiian top? to spice up your holiday look. Its not a summer look book until you include some swim wear, check out Plus size tankini for beautiful swimsuit pieces. with so many desgins I have picked the Tropical pineapple bathing suit, I have been loving fruit printed swimming lately, I think they so gorgeous. so these are the two pieces that I have chosen. have you guys shoped from this website before?, what has been your experience?.